‘Tis the season! Have you gotten your Christmas Tree yet? Chances are, your nearby grocery stores, home repair stores, and the empty lots in your town are filling up with cut trees – most likely a balsam fir, Douglas-fir, or similar. 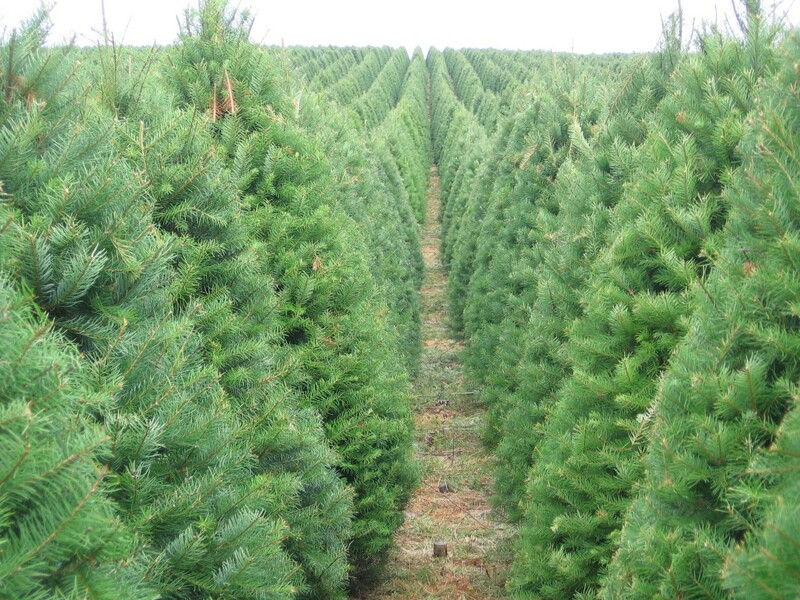 Between 35 and 40 million cut trees are sold during the Christmas season in the U.S each year, with about 350,000 acres of tree farms in production. It’s a tradition that is built into the fabric of our families, neighborhoods, and communities, and it is a big business. In addition to generating sales for farmers who look forward to the harvest season each year, many nonprofits and schools hold Christmas tree sales before the holidays in order to raise funds for their causes and programs. Nearly 200,000 trees like these, grown on a massive farm in Oregon, are shipped to Hawai‘i for Christmas each year. Millions embrace the ritual of going to the tree lot (or farm, if you’re lucky), choosing the perfect tree, bringing it home on the roof of the family car, and decorating it for prominent display in the home – it’s just something that we look forward to as a culture, year after year. 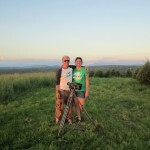 Sustainable tree farming is an industry that our nation has come to embrace, and for good reason. For more on the history of the Christmas tree, check out this video from The History Channel. When I moved to Hawai‘i 10 years ago, the most isolated, bio-diverse land mass in the world, Christmas started taking on a different meaning, along with the holiday traditions that come with it. We’d go to the beach instead of sit by the fire. Strands of lights were strung in palm trees. 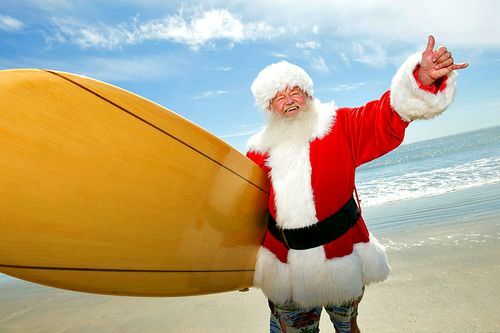 Santa surfs in on a wave, instead of being drawn on a cart by reindeer. And one year, late in the season, when Joe (my husband and partner in Plant a Wish) went out to purchase a cut tree for us to display in our home, he found that all of the “Christmas trees” on the entire island had been sold. This was new to me. How do you run out of Christmas trees? You do that when you are reliant on trees being shipped from far, far away. These imported trees almost always sprayed with chemicals and have been confirmed carriers of invasive insects that damage our delicate island ecosystems. This is just not sustainable, it seems kind of ridiculous, if you ask me. ‘There has got to be something else that just makes more sense,’ I thought. 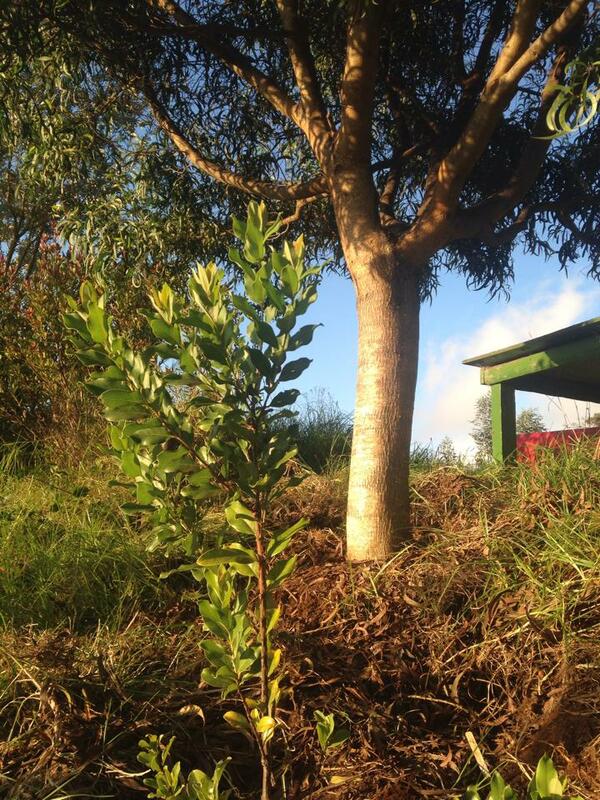 That year, instead of bringing home a fir, Joe brought home a native koa sapling in a pot. 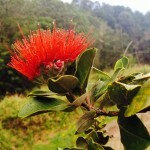 Soon after the holidays, we planted the tree at our wedding, held on a farm in Upcountry Maui. (It’s big and strong now. See it in the photo at left.) We’ve continued the tradition every year since, and enjoy planting our holiday trees on native ecosystem restoration sites around Maui, including at the property we live on, which has an acre dedicated to native trees and plants. Instead of being part of an arguably unsustainable business practice, we choose to give back to Maui each year, and plant a tree instead. 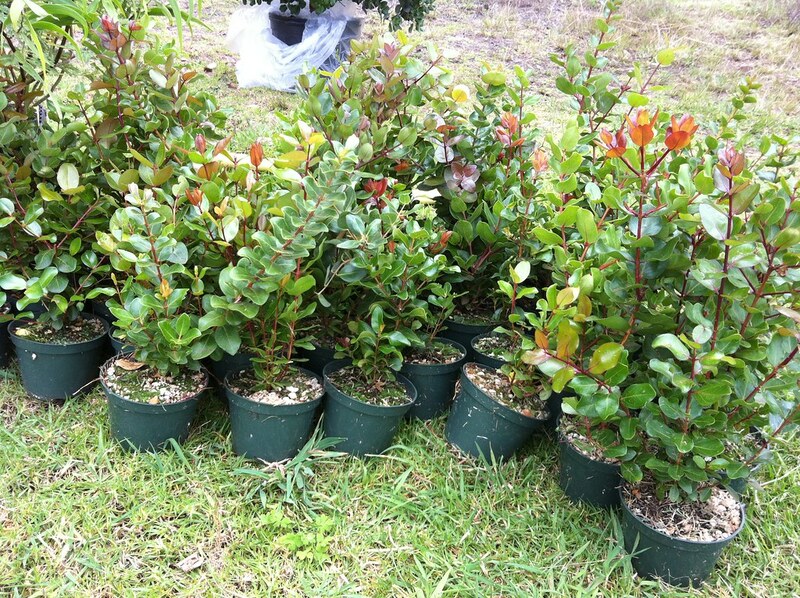 In addition, we now help local tree farmers by helping to sell the trees to Maui residents who want to join us. With a slight flip of the script, and a bit of a change aesthetically speaking, you too can begin a new tradition in your holiday home on Maui. You can choose a live, native tree instead of a cut, imported tree, and make a small change in the way things are done around here. 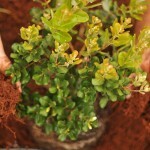 Not only will you enjoy the beauty of a living tree in your home (rather than one that is slowly dying), you can also use this as an opportunity for your family to learn more about the native flora of these islands and have a chance to give back by planting the tree after the holidays. A gift that contributes to the health of the land, the water, and the air is truly the gift that keeps on giving. After all, isn’t that what the holiday spirit is all about? 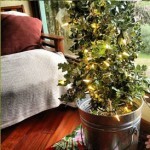 We’re currently running a holiday sale on our holiday trees, which are now $75 with free delivery. Sale ends on Sunday, 11/30 at midnight. Purchase yours online now. All proceeds support native tree plantings on Maui through Plant a Wish.